"I am delighted that patients with LAL-D now have the first approved therapy that treats the underlying cause of the disease"
CHESHIRE, Conn.--(BUSINESS WIRE)--Alexion Pharmaceuticals, Inc. (NASDAQ: ALXN) announced today that the U.S. Food and Drug Administration (FDA) has approved Kanuma™ (sebelipase alfa) for the treatment of patients of all ages with a diagnosis of lysosomal acid lipase deficiency (LAL-D). 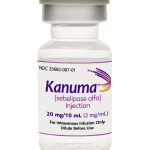 Kanuma, an innovative enzyme replacement therapy (ERT), is the first therapy approved in the U.S. for the treatment of patients with LAL-D, a genetic and progressive ultra-rare metabolic disease in which patients suffer multi-organ damage and premature death. 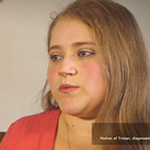 Alexion will offer support to patients with LAL-D through its OneSource™ program. OneSource provides each patient and family with personalized support from a dedicated Alexion nurse case manager, who can help patients understand their insurance benefits and receive reimbursement assistance. 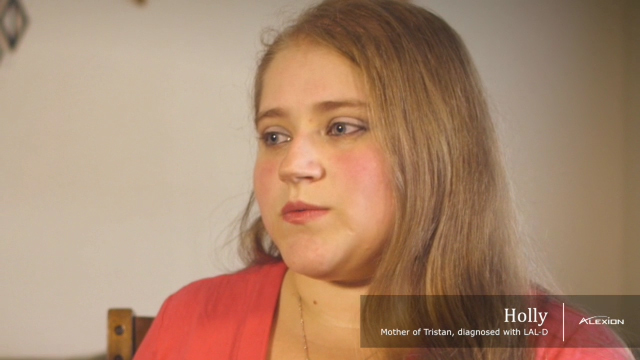 Through OneSource, patients and families can obtain further information regarding third-party foundations and co-pay assistance programs that help patients meet out-of-pocket expenses related to the treatment of LAL-D. For uninsured patients who have no access to insurance, the Alexion Access Foundation, a charitable entity, provides Kanuma free of charge for patients. Patients, caregivers, and healthcare providers in the U.S. can call 1-888-765-4747 to speak with a OneSource nurse case manager. Alexion is preparing to serve patients in the U.S. with Kanuma and expects that Kanuma will become available commercially during the first week of January 2016. The Company’s expanded access program will remain open to enable patients with LAL-D in the U.S. to access Kanuma until commercial product is available. The FDA approved Kanuma under Priority Review, and had previously granted Breakthrough Therapy Designation for Kanuma for LAL-D presenting in infants. With this approval, the FDA also issued a Rare Pediatric Disease Priority Review Voucher, which confers priority review to a subsequent drug application that would not otherwise qualify for priority review. The rare pediatric disease review voucher program is designed to encourage development of new drugs and biologics for the prevention or treatment of rare pediatric diseases. Kanuma is also approved in the European Union, and a New Drug Application for Kanuma has been submitted to Japan’s Ministry of Health, Labour and Welfare. 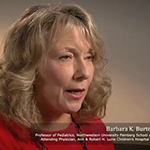 The approval of Kanuma in the U.S. was based on data from two clinical studies and a supporting open-label extension study comprising infant, pediatric, and adult patients with LAL-D. Study results showed significant benefit in terms of survival (67%, or 6 out of 9) in patients with the infant form of LAL-D beyond 12 months, compared with 0 out of 21 patients in an untreated historical cohort. In pediatric and adult patients with LAL-D (ages 4 to 58 years), treatment with Kanuma resulted in larger reductions from baseline in ALT values and liver fat content, as measured by MRI, compared to treatment with placebo. Reduced ALT values were generally seen within 2 weeks. In addition, treated patients had significant improvements in lipid parameters, including LDL-C, HDL-C, non-HDL-C, and triglycerides, compared to placebo. The significance of these findings as they relate to cardiovascular morbidity and mortality or progression of liver disease in LAL deficiency has not been established. Continued improvements in ALT, LDL-C and HDL-C were seen in patients treated with Kanuma for up to 36 weeks. Alexion will host a conference call/webcast today, Tuesday, December 8, 2015, at 5:00 p.m. ET to discuss the FDA approval. To participate in this call, dial (866) 433-3833 (USA) or (704) 908-0448 (international), confirmation code 93767158, shortly before 5:00 p.m. ET. A replay of the call will be available for a limited period following the call, beginning at 8:00 p.m. ET. The replay number is (855) 859-2056 (USA) or (404) 537-3406 (international), confirmation code 93767158. The audio webcast can be found on the Investor page of Alexion’s website at: http://ir.alexionpharm.com. 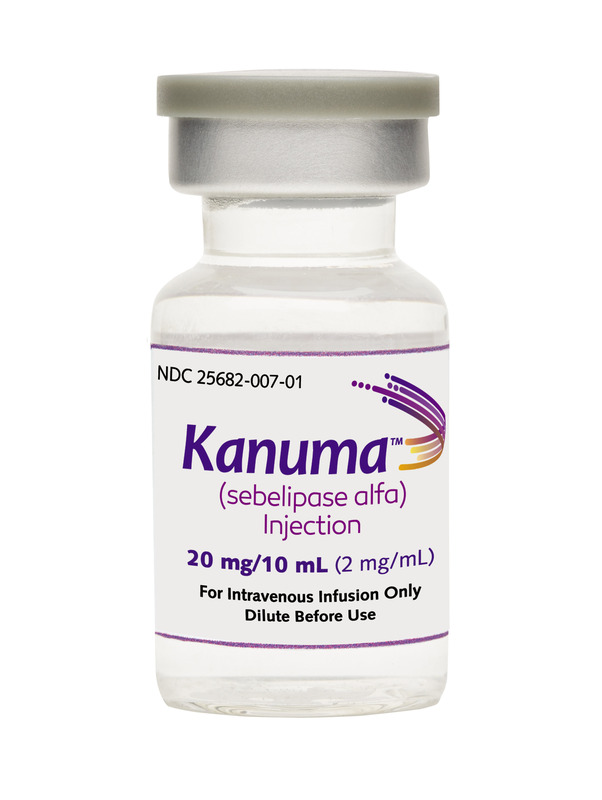 Kanuma™ (sebelipase alfa) is an innovative enzyme replacement therapy that addresses the underlying cause of lysosomal acid lipase deficiency (LAL-D) by reducing substrate accumulation in the lysosomes of cells throughout the body. 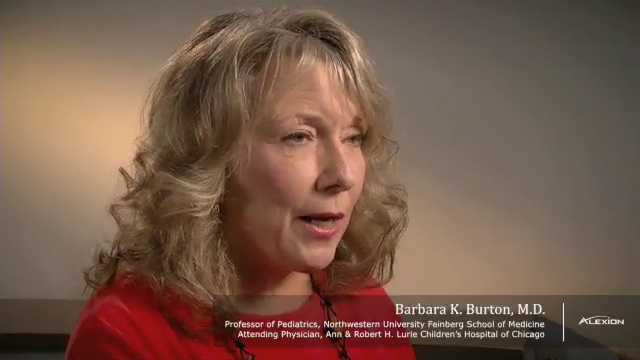 In clinical studies, treatment with Kanuma improved survival in infants with LAL-D and led to significant reductions in ALT and liver fat content, as well as significant improvements in lipid parameters, in children and adults with LAL-D.
Kanuma is approved in the United States and European Union. A New Drug Application for Kanuma has been submitted to Japan’s Ministry of Health, Labour and Welfare. Hypersensitivity to Eggs or Egg Products: Consider the risks and benefits of treatment in patients with known systemic hypersensitivity reactions to eggs or egg products. The most common adverse reactions are: In patients with Rapidly Progressive Disease Presenting within the First 6 Months of Life (≥30%): diarrhea, vomiting, fever, rhinitis, anemia, cough, nasopharyngitis, and urticaria. In pediatric and adult patients (≥8%): headache, fever, oropharyngeal pain, nasopharyngitis, asthenia, constipation, and nausea. This news release contains forward-looking statements, including statements related to potential medical benefits of Kanuma™ (sebelipase alfa) for lysosomal acid lipase deficiency (LAL-D). Forward-looking statements are subject to factors that may cause Alexion’s results and plans to differ from those expected, including, for example, decisions of regulatory authorities regarding marketing approval or material limitations on the marketing of Kanuma for LAL-D, delays in arranging satisfactory manufacturing capabilities and establishing commercial infrastructure for Kanuma for LAL-D, the possibility that results of clinical trials are not predictive of safety and efficacy results of Kanuma in broader or different patient populations, the risk that third party payors (including governmental agencies) will not reimburse for the use of Kanuma at acceptable rates or at all, the risk that estimates regarding the number of patients with Kanuma and observations regarding the natural history of patients with Kanuma are inaccurate, and a variety of other risks set forth from time to time in Alexion's filings with the Securities and Exchange Commission, including but not limited to the risks discussed in Alexion's Quarterly Report on Form 10-Q for the period ended September 30, 2015 and in Alexion's other filings with the SEC. Alexion does not intend to update any of these forward-looking statements to reflect events or circumstances after the date hereof, except when a duty arises under law. 2. Bernstein DL, et al. Chloesteryl ester storage disease: review of the findings in 135 reported patients with an underdiagnosed disease. J Hepatol. 2013;58:1230-43. doi:10.1016/j.jhep.2013.02.014. 3. Reiner Z, et al. Lysosomal acid lipase deficiency – an under-recognized cause of dyslipidemia and liver dysfunction. Atherosclerosis. 2014;235:21-30. doi:10.1016/j.atherosclerosis.2014.04.003. 4. Kanuma™ U.S. Prescribing Information, 2015. 5. Jones SA et al. Rapid progression and mortality of lysosomal acid lipase deficiency presenting in infants. Genetics in Medicine. 27 August 2015. doi:10.1038/gim.2015.108. 6. Data on file, Alexion. 7. Burton BK, Deegan PB, Enns GM, et al. Clinical Features of Lysosomal Acid Lipase Deficiency. J Pediatr Gastroenterol Nutr. 2015;619-25. doi: 10.1097/MPG.0000000000000935. 8. Hamilton J, et al. A new method for the measurement of lysosomal acid lipase in dried blood spots using the inhibitor Lalistat 2. Clin Chim Acta. 2012;413:1207-10. doi:10.1016/j.cca.2012.03.019.